“Channels” menu depicts the list of available channels. 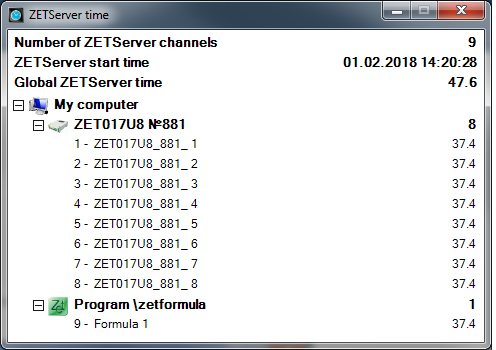 The figures below display an example of channels list in the program ZETSERVER Time and in the context menu of Formula program. As the channel is selected, its name will be depicted in formula line (in angular brackets). In the case if there are several ZET devices connected to the PC and having different sampling frequencies, then the channels with low sampling frequencies undergo broken line interpolation and sampling frequency is increased up to the highest value detected in the system. Some of ZET devices have a single ADC circuit performing step-by-step processing of the channels, which may result in phase delays. In such a case Formula synchronizes these channels in background mode. 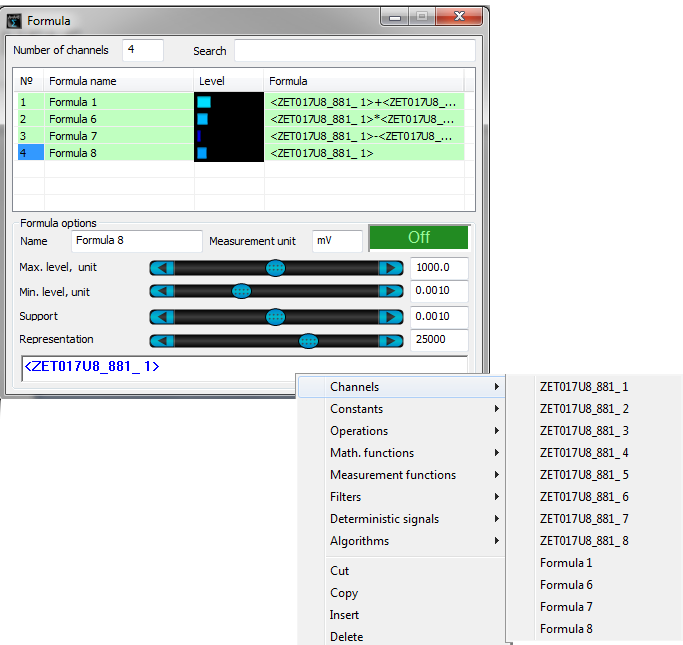 Preliminary results of the calculations are also represented by channels, but they are not displayed in ZETLAB system. I.e. the functions that use a channel as an argument can use an equation instead of this argument.